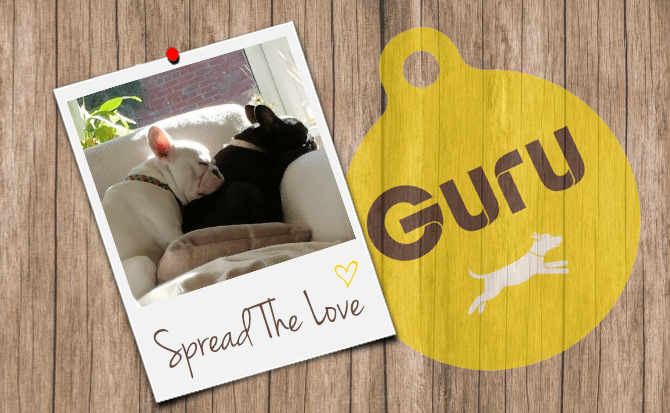 I just want to say a huge thank you to you all at Guru. 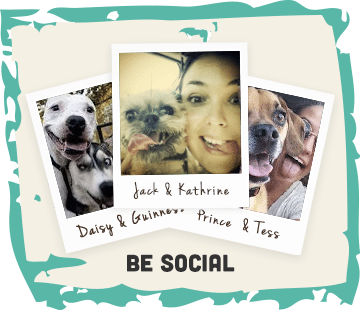 You really have changed my pooches life. This time last year (2017) Harvey was more than a little overweight weighing just over 18kgs!!! Harvey still has a little way to go but he is doing so well. He is loving life and we both are loving Guru. I am convinced that his stomach was full for longer though and despite having less food, he had definitely had enough. I gave him a choice of foods for his next meal, his nose went straight into the Guru bowl! Proof is in the pudding there! 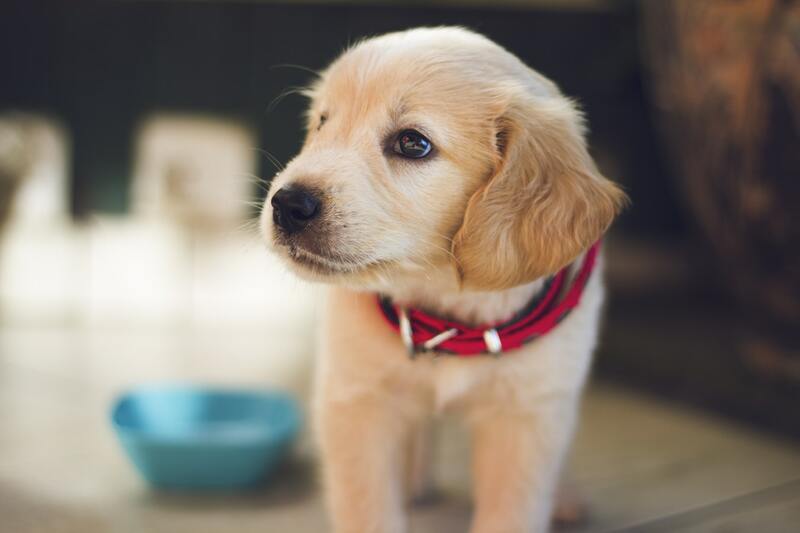 My puppies are doing so well on it – not one upset tummy episode. Frankie’s ears are beautiful and pink again. Guru has cleared everything up in just a few weeks! 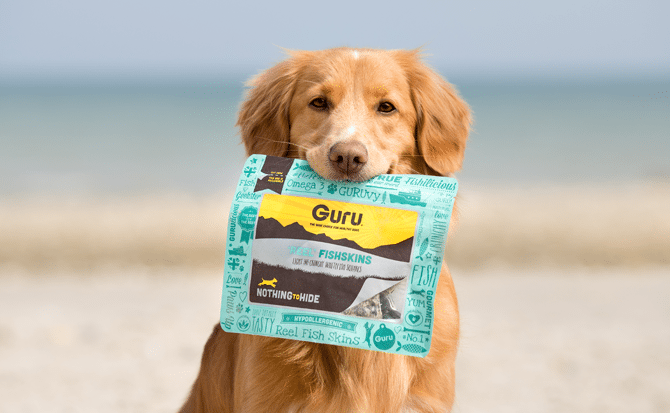 I’m super impressed with Guru and I’m recommending it to EVERYONE! Ila’s verdict: she LOVED them! 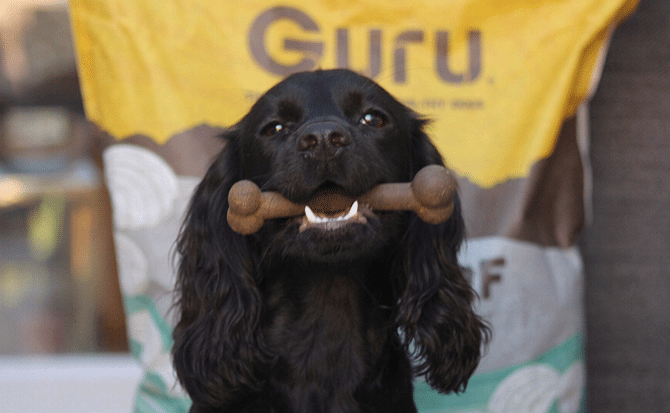 In fact, she could not get enough of them (as with any of the Guru Pet Food range). Now it takes one sniff of the open packet and she dances around offering every trick in the book to get her paws on a bite. 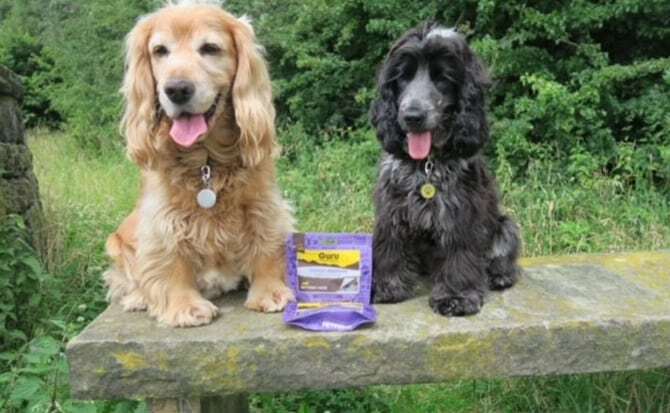 I have been feeding Hudson and Bentley Guru for the last 2 months and not only do they both adore it, their skin and coat has improved and they have lots more energy too. 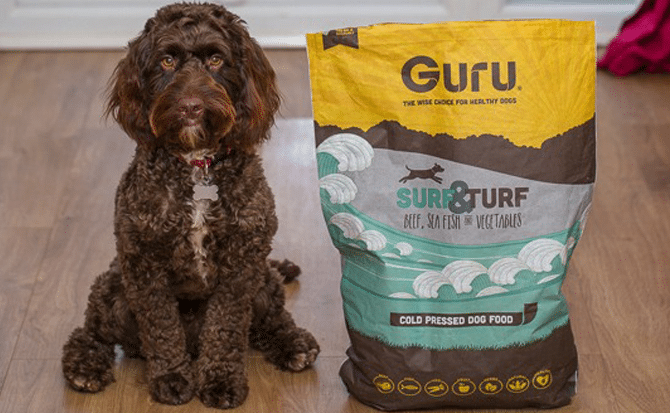 Guru’s not only cheaper than the food I was buying before, Hudson only needs 250g per day, unlike his other food where he was having over 300g per day! 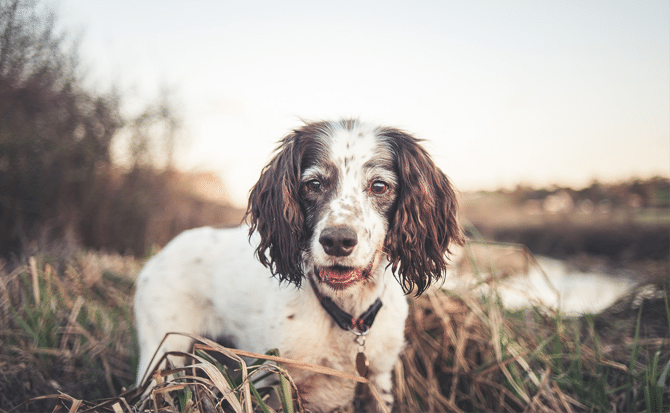 Would you like to change your dogs’ food? If so, where do you start? If you find yourself asking similar questions, then this is the blog for you! Queen Tobie here! I am what some people might call an “oldie”(but goodie), I am a wise girl with a silver fox(ette) face and a touch of arthritis. I am also a very proud Guru GEEK! We owe an awful lot to this little Guru family we’re a part of, and can’t thank them enough for letting me be a puppy all over again. 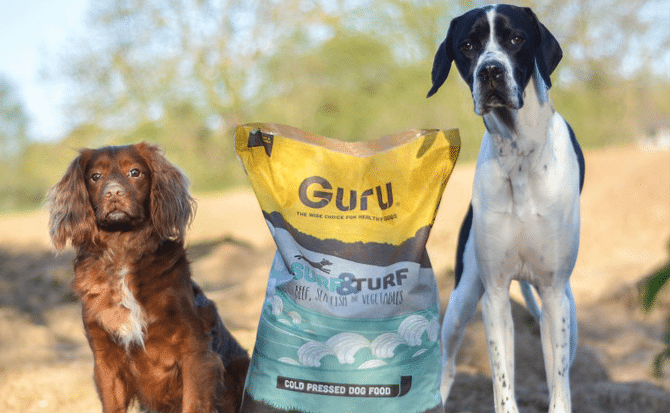 Spaniel Bella goes for Guru! 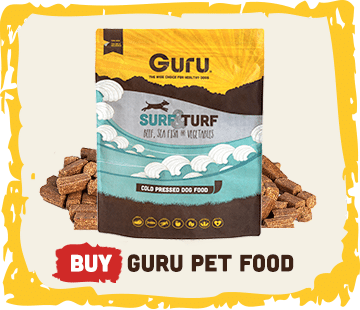 Changing Bella’s diet to Guru Pet Food is a decision I wish I had made sooner, we have already noticed significant changes. 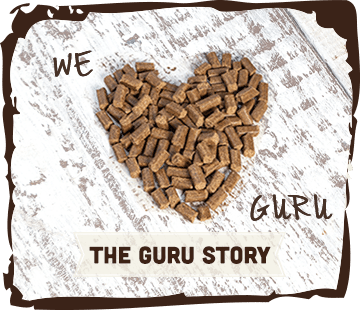 Bella has always had a very sensitive stomach and even during the transition to Guru, we have found it easier to scoop that poop. 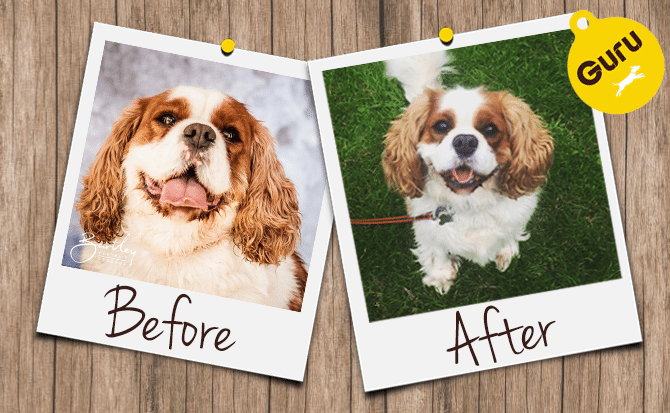 Raffles has just had a health check and the vet confirmed what we already knew… he’s a happy, healthy pup, the correct weight for his age, his skin, eyes, teeth and coat are all perfect. 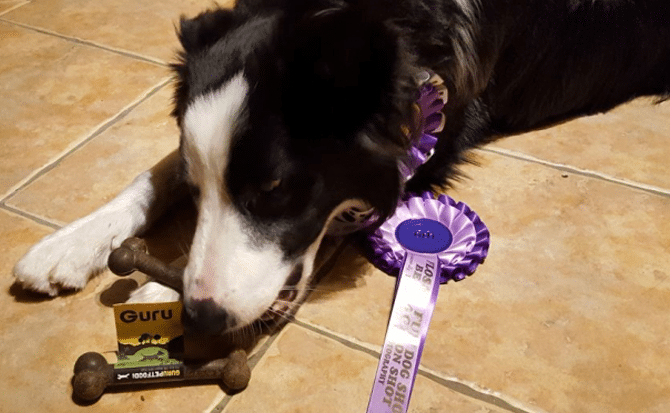 As for me, I’m nearly 10 years old now and thanks to Guru, my joint problems have disappeared and I’ve lost 3kg, I’m fit and healthy for my age and can run around and play with my little brother.